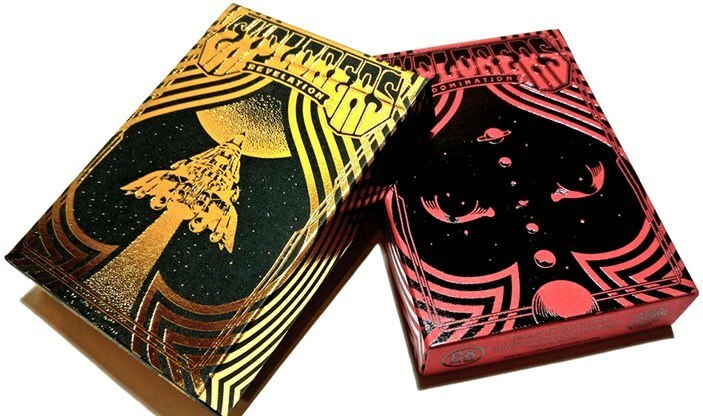 Get ready to don your space suit and go exploring with these interstellar Explorer Playing Cards! With a graphic novel-like visual extravaganza, these cards were printed by EPCC with a Damask finish. The cards have red backs and faces with 100% custom artwork that is literally out of this world! 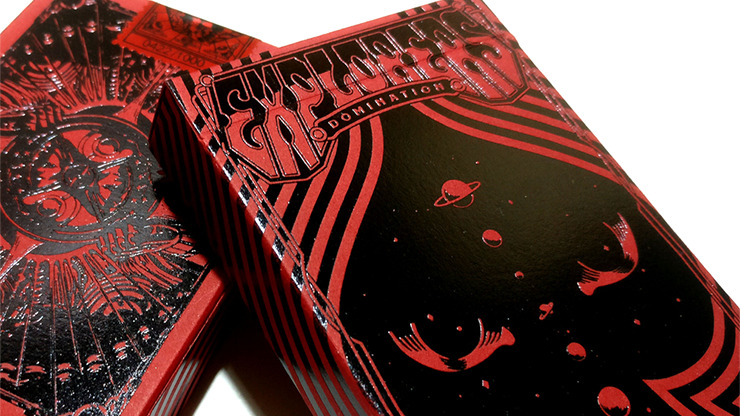 These cards are housed in an embossed tuck case printed on black paper with red foil and sealed with a numbered foil sticker. 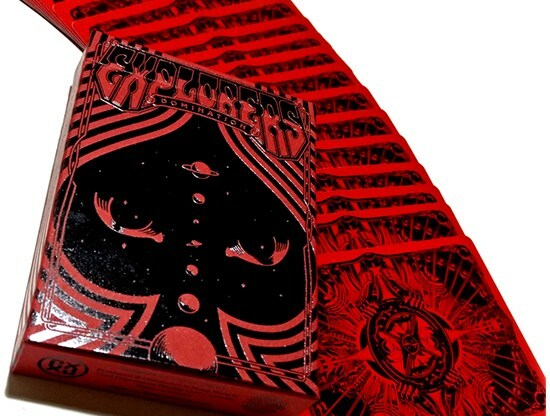 Indulge your inner explorer and pick up your decks today!